The right-wing backlash to her Super Bowl performance only proves how important it was. I am writing this from the Bay Area, where tent cities are now slowly re-forming under bridges, and where there is still a palpable buzz about Beyoncé’s performance in the Super Bowl halftime show (sorry, Coldplay). In fact, it’s a topic with far more currency here than the actual dud of a game, and for good reason. This is the 50th anniversary of the founding of the Black Panther Party for Self Defense in the Bay Area. Given that the Panthers were founded initially to combat police violence and provide a grassroots social safety net for the poorest and blackest parts of Oakland, they are looked upon not only with pride but as having a great deal of relevance. 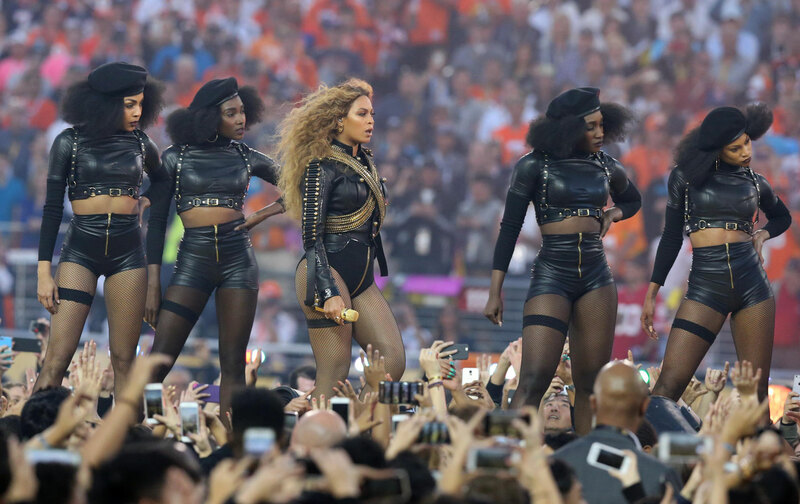 The fact that Beyoncé and her dancers paid tribute to the Panthers, complete with black berets and assembling in an X formation, amid the glitz, schmaltz, and hyper-nationalism of the Super Bowl has sparked an immediate and bracing wave of discussion. Yet despite the right-wing noise, Beyoncé’s performance has created space for a real conversation about the Black Panthers, beyond the caricature. It is a chance to get people to see the recent Stanley Nelson PBS documentary Vanguard of the Revolution or read The Black Panthers Speak or Seize The Time or any number of books. Just to give one example, the most illustrative, politically textured Panther memoir in my humble opinion is My People Are Rising by Seattle Black Panther Party founder Aaron Dixon. When Dixon’s book was released in 2012, I pushed people to read it on social media and among friends and was met with a tepid response. After Beyoncé’s performance, I went back and recommended it again. The reaction was off the chain. Being in the Bay Area this week has also opened my eyes to another part of what made Beyoncé’s halftime performance matter. There are people here who have dedicated their lives to fighting police brutality—most recently in the form of the killing of Mario Woods—and for the rights of the homeless to not be treated like collateral damage of gentrification. They wanted the Super Bowl to be an opportunity to spotlight these issues for the country. Instead, they were met with a smothering police presence, indifferent media, and an NFL occupation that made swaths of their city resemble the Green Zone in Iraq. It really doesn’t matter if you think Beyoncé is a revolutionary or a canny marketer or a capitalist in Panther clothing. What matters is that a cry of resistance rose up inside the castle, even after they raised the drawbridge and put sharks with friggin’ lasers on their heads in the moat. That opens up spaces that did not exist before. Beyoncé was extremely brave to do it—she “took the weight.” But her bravery is the product of courage being shown on a street-level throughout the country. She acted because so many people have put themselves on the line to make #blacklivesmatter not just a hashtag but a new moral reality. This is what hope and change actually looks like: It comes in black berets amid Budweiser and toe-fungus ads, telling 100 million people to remember the Black Panthers and to remember Mario Woods.